I am Steven (Steve) Logan and I have been practicing law in South Florida as a West Palm Beach Criminal Defense lawyer for over 30 years. My primary practice is Criminal Defense. Prior to my private practice I was a Prosecutor serving the State Attorney’s Office in Ft. Lauderdale, Broward County Florida. If you are faced with a criminal charge in West Palm Beach, Palm Beach, Riviera Beach, Belle Glade, Palm Beach County; Moore Haven, Glades County, Ft. Lauderdale, Hollywood, Pompano Beach, Broward County, Ft. Pierce, St. Lucie County, Stuart, Martin County Florida, I encourage you to call attorney Steven M. Logan of West Palm Beach. We will discuss how the police targeted you as suspect. Did the police have reasonable suspicion or probable cause to encounter you? Did the Police make an unlawful arrest? What is the credibility of the witnesses against you? Did the police violate your 4th, 5th, 6th Amendment Rights? Did the Police follow the law and procedure? Did the State Attorney’s Office file the correct charges against you? Are there grounds for a Motion to Dismiss the case against you? Are there grounds to Suppress (Drugs, Guns, Admissions) the Evidence against you? I have extensive experience in the Courtroom to handle these and other issues. Building a good reputation with Judges and Prosecutors takes years of experience of hardworking commitment and learning sustained through a long period of time. West Palm Beach criminal defense attorney Steven M. Logan has nearly 30 years of experience in South Florida. When negotiating with the prosecution, it is important to negotiate out of strength not weakness. It is important to have an attorney, who knows the Florida law, the rules of evidence and will take your case to trial if need be. I have actual experience with various Sheriff's office in Florida, including the Palm Beach Sheriff's Office as well as various police Departments in Florida, including West Palm Beach Police Department. I also have experience dealing with various Federal Law Enforcement Agencies, such as the Federal Bureau of Investigation (F.B.I.) the Drug Enforcement Agency (D.E.A.) the Alcohol Tobacco and Firearm Agency (A.T.F.). False Criminal Accusations: I have built up relationships with police officers who are now private investigators who can be involved in building your defense. I have used private investigators in both criminal and civil cases. Discovering the background or “dirt” on an accuser is valuable when you are facing false criminal accusations. It is important to communicate with the State Attorney (Prosecutor) before they file criminal charges against you. At this stage they are only taking the police’s version of the event. It is important to be aggressive in your criminal defense early to get the best results. During your confidential attorney-client interview, I will discuss your exposure (Sentence or Penalty) in your criminal case. First was there an actual crime committed? Can the State prove the “Corpus Delicti”? What crime was committed if any? I will review with you, your potential sentence along with your criminal history (if any) in accordance with the Florida Punishment Code or Sentencing Guidelines, along with any statutory mandatory minimum sentences, which are common in gun and drugs cases. Spotting issues and details are very important in your criminal defense. It starts with listening to my client - then going through the details of the police reports, 911 calls, witness statements, the Florida Statutes, the Florida rules of criminal procedure and the rules of evidence. Attention to detail applies throughout the case. Often I have found that the State will make a mistake in calculating your sentence. Mistakes are also made by the Probation Department in State and Federal Court when devising their “Pre-Sentencing Investigation Report”. It is important not to blithely go into court without an experienced West Palm Beach criminal defense lawyer and accept what the Government offers you out of fear and belief that they are correct. Mistakes in detail often occur when calculating “credit for time served”. I have also found mistakes with the Florida Department of Law Enforcement when a client was first denied a certificate of eligibility for a Record Seal. Through diligence and commitment I discovered FDLE was wrong and I was eventually able to get my client’s record sealed. Should I just get the Public Defender? For more information of this subject Private Lawyer or Public Defender click here. If you have no prior D.U.I. (Drunk Driving) convictions you may be eligible for the D.U.I. 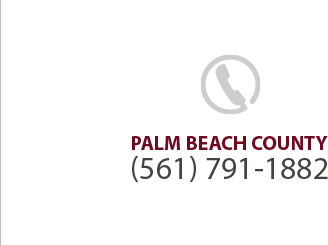 Diversion Program in Palm Beach County. Once you get through the program, you will receive a withheld adjudication (no conviction) for Reckless Driving. You must enter the program at one of the satellite courthouses – Gun Club, South County (Delray Beach), North County (Palm Beach Gardens) or Belle Glade. Many Attorneys will charge a full fee $1,500, $2,500 or more to hand you a piece a paper enrolling you in the program, while you do all the work. Click here and this link will direct you to an in depth discussion about your eligibility and what to expect in the program.